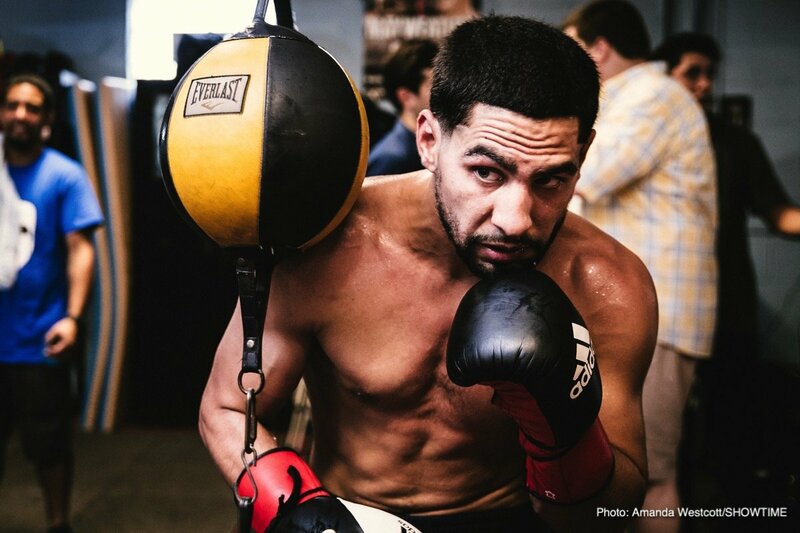 Danny Garcia Says He Won't Be Surprised If He KO's Shawn Porter – but would you be surprised if he did it? Danny Garcia Says He Won’t Be Surprised If He KO’s Shawn Porter – but would you be surprised if he did it? Arguably the best 147 pound match-up of this year, certainly one of the most intriguing welterweight match-ups possible today, Shawn Porter Vs. Danny Garcia is just over a week away. Both men have been grinding hard in training and both men are talking a great game ahead of what both former champions know is a must-win affair. Porter is all action, while Garcia has been tagged by many as the puncher in the fight. Indeed, Garcia has said how he himself will not be too surprised if he scores a KO win over Porter on September 8. But would such a result shock many a fight fan? Garcia, 34-1(20) and, like Porter beaten only by the still inactive, maybe never to return Keith Thurman, was a destructive puncher down at 140, where he also ruled, but not so much up at 147. Yes Garcia took out Brandon Rios in style back in February, in his sole fight since dropping a decision to “One Time,” but can you name another big-name welterweight “Swift” has taken out? Garcia will have to up his punch rate against the swarming, relentless Porter, that’s for sure. Then again, the plan from Team-Garcia may be for Danny to time a Porter rush and connect with a well placed left hook smack on the chin. But there really is nothing to suggest Porter, 28-2-1(17) has anything approaching a poor chin. Yes, Porter was dropped by Adrien Broner when he took his eye off the ball very late on in the fight that ultimately saw him win by wide decision, but Porter’s whiskers are sound. It would have to be a great punch, maybe even THE punch of Garcia’s career to KO Porter. Might we instead see Porter, a warrior who throws a ton of shots in each and every round, score a KO win of his own a week on Saturday? In truth, this one looks like a distance fight, and very possibly a tough, gruelling 12-round war. A KO looks quite unlikely, from either side. So, yeah, it would come as a surprise, a shock even, if Garcia scored his 21st career KO at the expense of Porter. Next boxing news: Erkan Teper To Face Robert Helenius On September 29 – better late than never? You are here: Home / Boxing News / Danny Garcia Says He Won’t Be Surprised If He KO’s Shawn Porter – but would you be surprised if he did it?